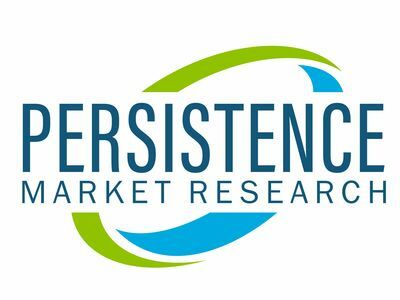 NEW YORK, April 2, 2019 /PRNewswire/ -- Persistence Market Research recently published a report, titled 'Commercial Seaweed Market: Global Industry Analysis 2013–2017 and Forecast 2018–2028'. The report has valuated global commercial seaweed market at nearly US$ 13.9 Bn in 2018 and forecasts the market to surpass the value of US$ 19 Bn by the end of 2028. According to PMR's study, East Asia is expected to remain the largest market for commercial seaweed by the end of 2028. Global commercial seaweed market is highly fragmented and competitive. Food and beverage manufacturers are expected to consume a higher share of commercial seaweed when compared to other end users such as pharmaceuticals, agricultural products, animal feed additives, and others such as personal care and cosmetics. The demand for commercial seaweed is anticipated to observe stable growth throughout the forecast period (2018–2028), in terms of both, volume and revenue, owing to the presence of various macro and micro nutrients in seaweed. By form, the powder segment is expected to be a prominent segment in the overall commercial seaweed market. This segment is expected to hold the highest market share in terms of revenue by the end of 2028, despite an estimation of a moderate growth outlook in the latter half of forecast period. The flakes segment is expected to remain the next key segment in commercial seaweed market likely to register a sizeable revenue share in the market by 2028 end. By source, the brown seaweed segment is expected to remain dominant throughout the forecast period in the overall commercial seaweed market. The brown seaweed segment that registered a market share of over 55% in 2018 is foreseen to display moderate growth potential in commercial seaweed market over the next few years. There are various organized players that are present in the commercial seaweed market, which is the main reason for an increase in the competition in this market. This is a major factor that is expected to boost the development of various new and innovative products in the commercial seaweed market. This is the main factor that will help accelerate the growth of the commercial seaweed market, in terms of volume and value, throughout the forecast period (2018–2028). Some of the key players included in the commercial seaweed market report are DowDuPont Inc., Kerry Group PLC, FMC Corporation, Cargill, Incorporated, Acadian Seaplants Limited, CP Kelco, Compañía Española de Algas Marinas S.A., Extractos Naturales Gelymar S.A., Ocean Harvest Technology Limited, Compagnie Financiere et de Participations Roullier S.A., W Hydrocolloids, Inc., Arthur Branwell & Co Ltd, Fuerst Day Lawson Limited, Marinalg International, Irish Seaweeds, Annie Chun's, Inc., Ocean Rainforest Sp/F, Qingdao Bright Moon Seaweed Group Co., Ltd., Maine Coast Sea Vegetables, and MARA SEAWEED, among other commercial seaweed manufacturers.